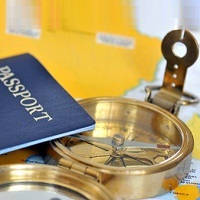 Many find it difficult to manage their most important traveling documents; passports & Visas due to shortage of time! We are a New Delhi-based travel company and assist clients in procuring fresh passports and Visas, and also help them in getting the old documents renewed. Our Passport & Visa Services are very inexpensive! We arrange application forms, assist clients in filling details, take appointments, get the supporting documents verified and submit the forms. Our professionals are very knowledgeable and provide guidance for Visa interviews.